A sitcom that stars Amy Poehler, Rashida Jones, Aziz Ansari, Nick Offerman, Aubrey Plaza, Paul Schneider, Chris Pratt, Adam Scott, Rob Lowe, Jim O'Heir, and Retta. 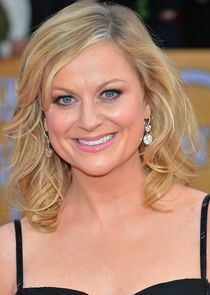 The series follows the life a mid level bureacrat named Leslie Knope in the fictional town of in Indiana called Pawnee. She is assigned to help local nurse Ann Perkins to convert an abandoned construction site into a new community park. However, Leslie must fight through the bureaucrats, problem neighbors, and developers in order to make her dream a reality, all while with a camera crew recording her every gaff and mishap.